The medi SAK can be used for either the left or the right shoulder. 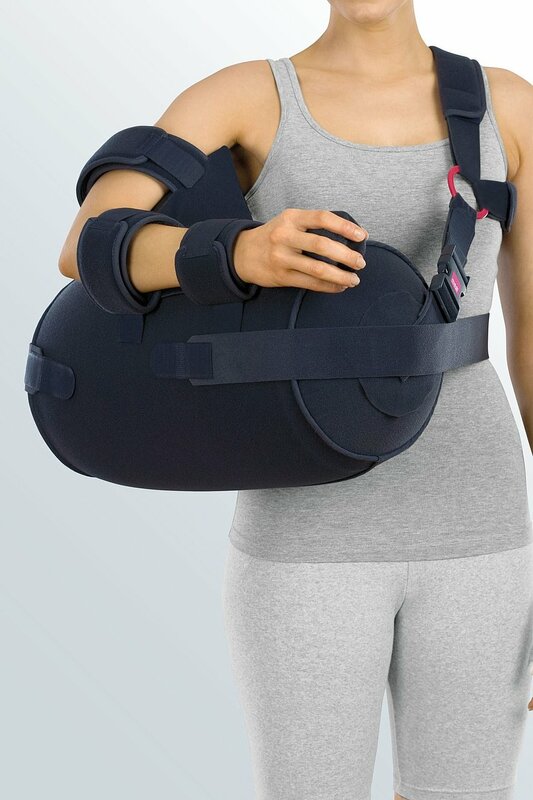 For postoperative use, the medi SAK is fitted to the patient while he is still in the operating theatre to avoid harmful movements of the operated shoulder when the patient is repositioned. This process is possible with the patient lying on his side or on his back. The angle of abduction is infinitely variable thanks to the air filling. 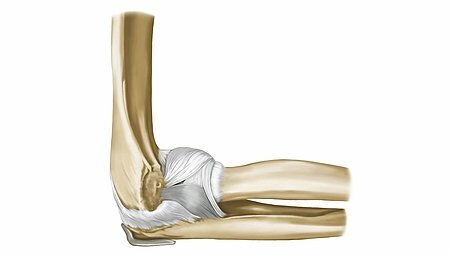 Once the orthosis has been adjusted properly, you can don the product alone after the operation depending on the degree of mobility, whereby excessive strain on the operated shoulder should be avoided. First open all the straps and loops on the orthosis. Place a book on the other side of the abduction cushion to provide resistance, so that the cushion does not roll away while you are putting on the orthosis. Now place the upper and forearm with the injured shoulder in the open loops and fasten these one after the other. Now stand straight and fasten the shoulder strap and the waist belt. 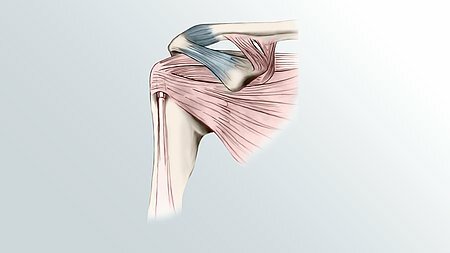 Ask for help if you need it so as to avoid any harmful movements of the operated shoulder. The medi SAK should be worn during the day and at night. To prevent slippage of the orthosis while you are asleep, it is advisable to place a pillow under the abduction cushion. The medi SAK can be washed in cold water and mild soap suds, and allowed to air dry. We hope you will get well soon!! Here you can find more information about our medi SAK shoulder abduction cushion.